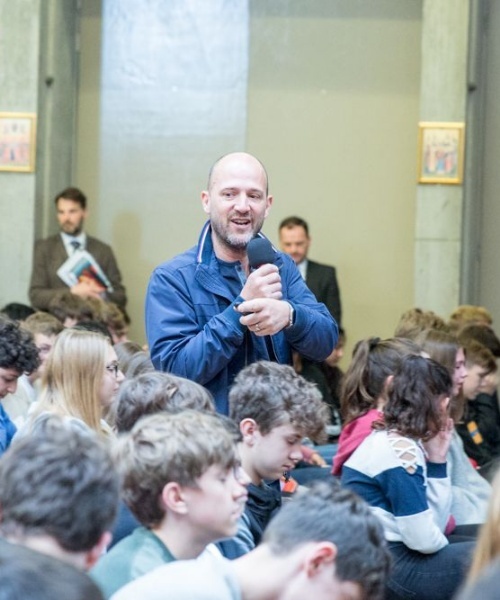 Marco Bertozzi, Spotify’s Vice President, Europe, gave a fascinating talk at St Benedict’s on Wednesday, May 2nd. 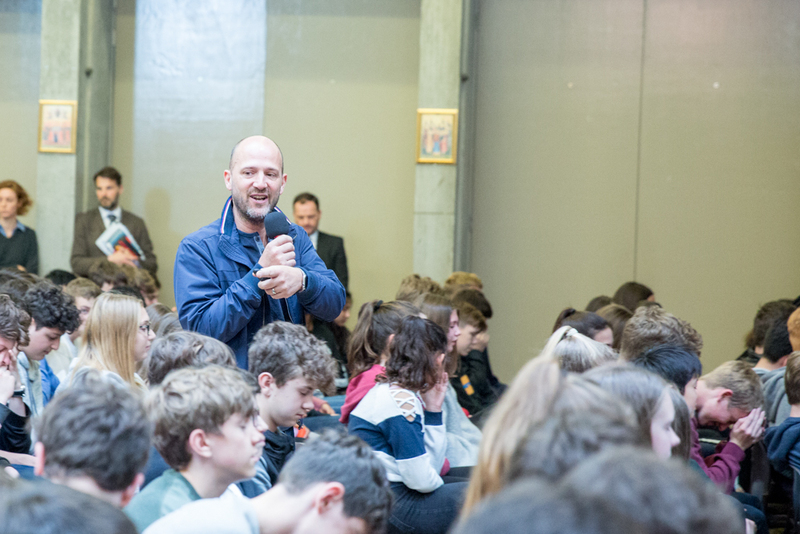 Pupils gained an insight into the music streaming company which has over 170m subscribers worldwide, as well as some valuable advice about discerning the right career path and how to succeed in following it. Marco began by quoting Spotify's founder, Daniel Ek, whose vision for the company was: “Unlock the potential of human creativity by giving a million creative artists the opportunity to live off their art and billions of fans the opportunity to enjoy and be inspired by it.” This was a new approach in the late '90s, when the music industry was “on its knees”; when 95% of downloads were illegal and online piracy prevented artists from making money from their music. He said of Spotify: “The only way we’ve grown so well is by giving back to the artist”. The foundational principles of Spotify are: Ubiquity (through a range of speakers, in cars, at Starbucks, etc; Spotify has over 250 partners); Personalisation (“We learn from what you’re listening to. Our streaming intelligence builds audience trust.”) and Freemium - from listening for free to paying monthly. 50-60% of people decide to pay for Premium. Marco then talked about his career, and his transition from working in advertising to Spotify. He offered four valuable pieces of advice: firstly, think carefully about where you want to be, why, and what makes you happy. Identify the right company or profession for you and be focused and determined about getting there. Secondly, always feel able to “write directly to people”, with an email or letter that has some “heart and soul” in it. 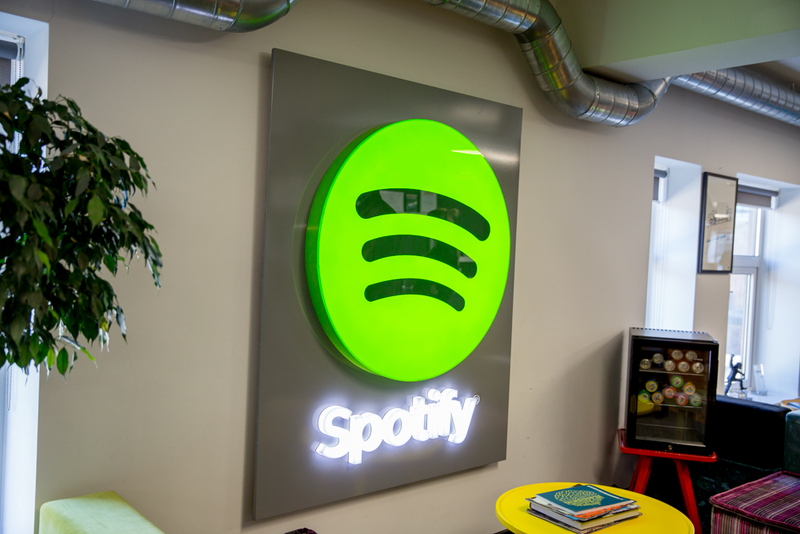 (He had written to Spotify’s US executive and joined the company nine months later.) 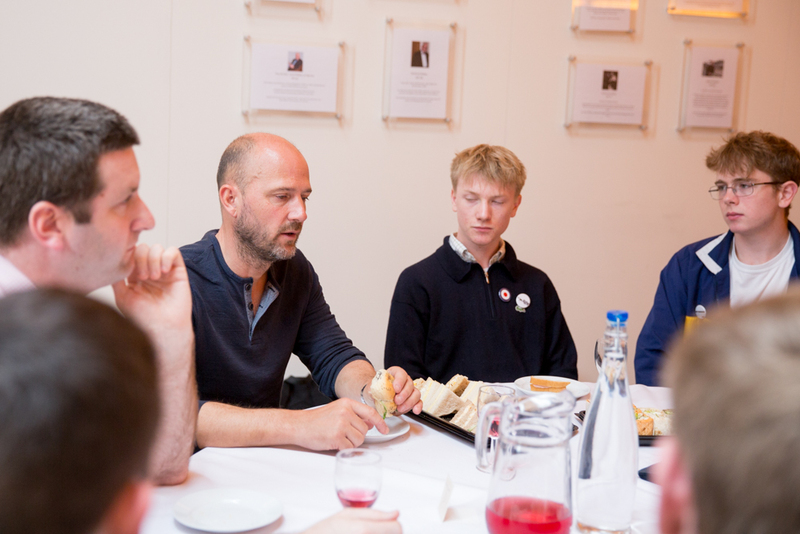 Thirdly, research is vital before an interview; candidates who declare it to be “the job of their dreams” who then demonstrate little knowledge of the company get very short shrift from Mr Bertozzi! Finally, once in post, be ready to volunteer for additional projects, and “put your hand up” if you want to get on: the ability to collaborate, work well with people and go the extra mile will make you stand out.